Center for Computer-Aided Design, School of Mechanical Science & Engineering, Huazhong University of Science and Technology, Wuhan, Hubei 430074, P.R. China. A hierarchical optimization procedure for the optimal synthesis of a double-axle steering mechanism used in truck with dynamic loads is presented. A multibody model of double-axle steering mechanism is presented to characterize the leaf spring effect. The influences of dynamic loads, the motion interference of steering linkage resulted from the elastic deformation of leaf spring, and the effects of wheel slip angles and the position discrepancies of wheel speed rotation centers are studied systematically. 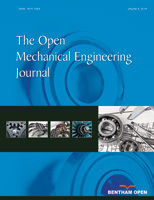 A hierarchical optimization method based on target cascading methodology is proposed to classify the design variables of double-axle steering mechanism into four levels. A double-axle steering mechanism for a heavy-duty truck is utilized to demonstrate the validity of the proposed method. The simulation results indicate that the hierarchical optimization procedure is effective and robust. And as a result, it will surely be widely used in engineering.